Because red is so attention-getting, that’s why red traffic signs alert us to stop. Pay attention. Then act. So if you want to get your laser cut designs noticed, red is your color. 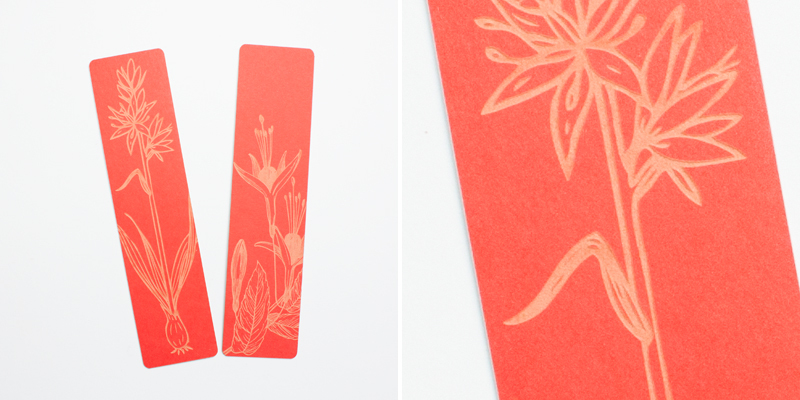 And for makers in New Zealand, we have added Red Cardstock Paper (a.k.a. over stock or pasteboard) to the NZ catalog that will make your heart—and wallet!—happy. 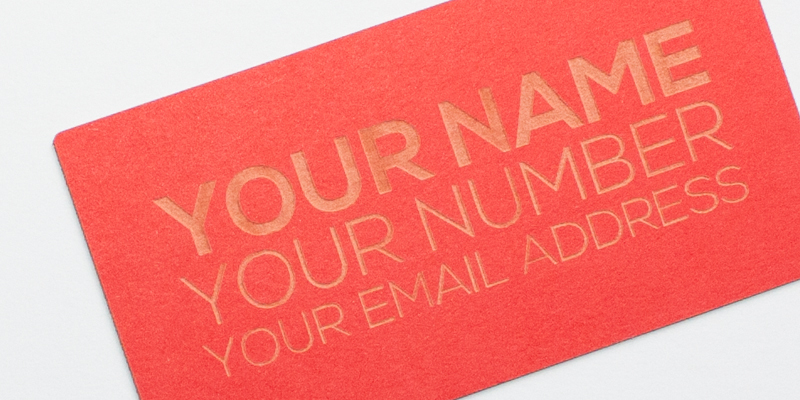 Add a splash of color to your designs with red cardstock without breaking the bank. 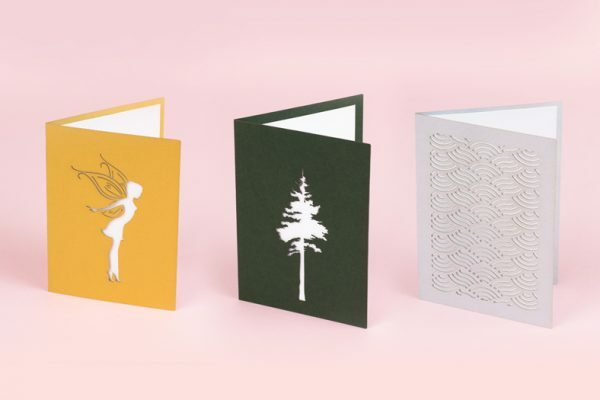 Cardstock is an economical material, and since it is relatively thin (when compared to other substrates) it laser cuts quickly—saving you money and keeping your wallet happy. Need some inspiration to design your next laser cutting project? Check out these examples we made. 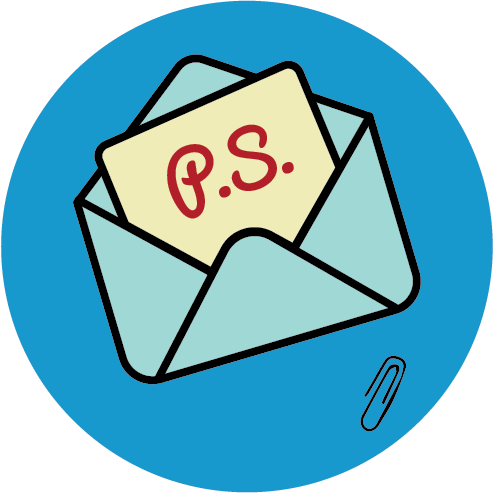 This decorative envelope will get invitations and love notes noticed. Cardstock holds a fold well; just use line engraving to score the surface and control the fold to make envelopes like these. Maker Tip: Get the most out of your cutting time and materials by using the little cut outs from the envelope as confetti. Since small parts can be lost in the laser cutting process, tab them in if you need them. Tabbing leaves a gap in the cutting line so that the small part stays attached to the sheet of material. Once the entire piece is laser cut, use a utility knife to hand cut the tab (so be sure to make the tab quite small). Feeling crafty? Don’t spend hours cutting craftstock craft ideas by hand when you can get it done with laser precision. 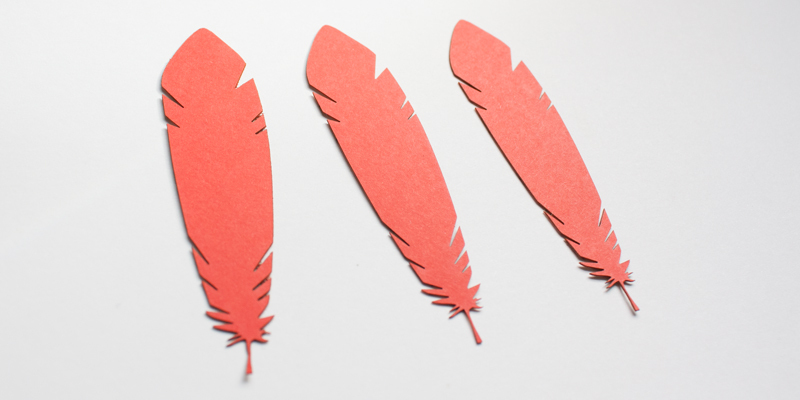 Feather designs are in fashion, so decorate with these on-trend pretty plumes. Get festive by creating bunting for your next party, holiday gathering or special celebration. Make it even more special by adding a custom message. 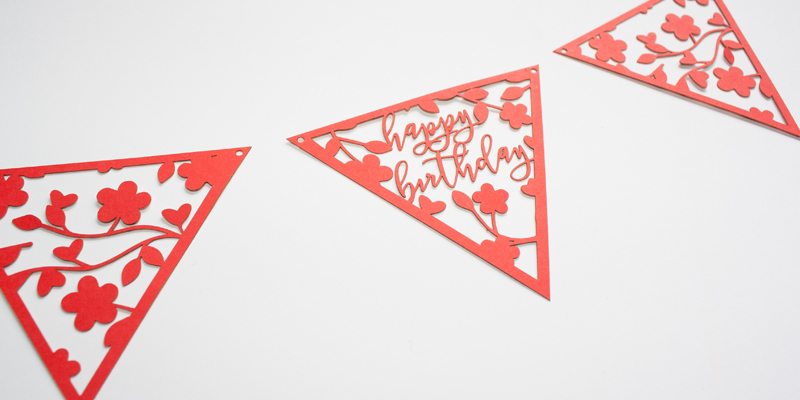 These pennants say Happy Birthday, but you could easily add a name or use it for other occasions such as anniversaries, graduations, or job promotions. Add a simple gift (and encourage reading!) to these gatherings by creating bookmarks as a party favor to tie into the overall theme. Business cards are meant to stand out. Not only is red highly visible, the color helps people be more accurate with recall and attention to detail. 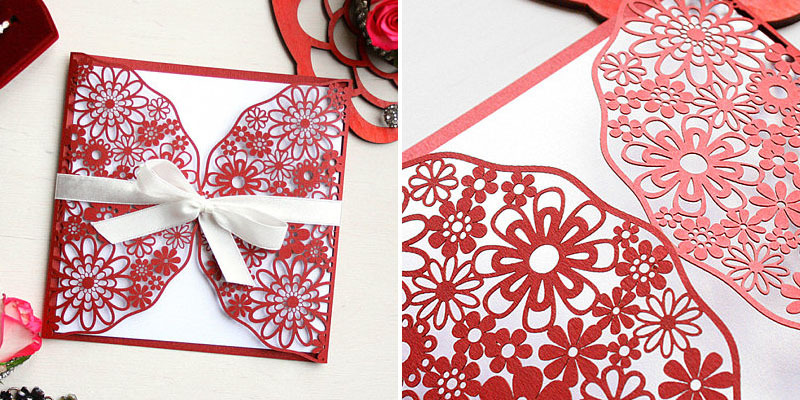 Be a bit different and create your own one-of-a-kind cards that are actually more memorable in red! For more ideas, check out these DIY laser cut business cards with QR codes or make your business cards take flight with these airplane-inspired designs. Maker Tip: This red cardstock paper actually laser engraves to a buttery tan color with some yellow undertones—a bit unexpected! 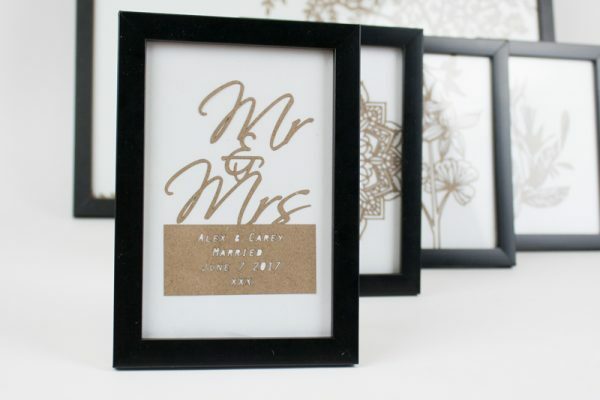 To achieve this creamy contrast as seen in the bookmarks and business cards, use area engraving. But a little area engraving goes a long way. Dense area engraving can leave a brown residue around the engraved area, so design accordingly. So how are makers putting this budget-friendly and bright cardstock to work? 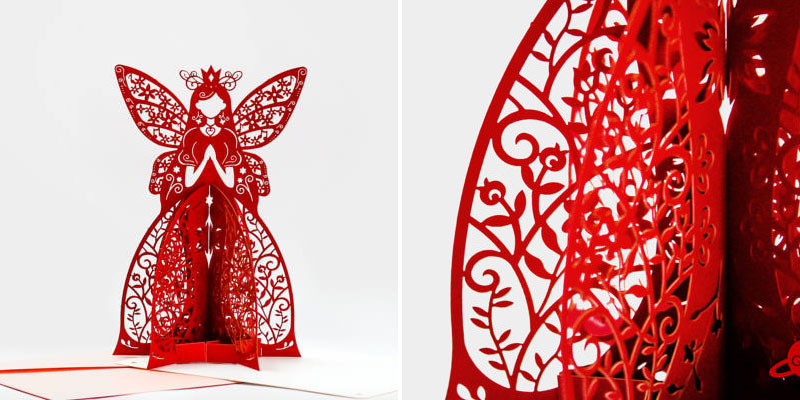 Etsy seller Gegegiggle creates intricately detailed laser cut pop-up greeting cards. This “Flower Fairy” design appeals to princesses of all ages and makes a pretty decoration during and after celebrations. 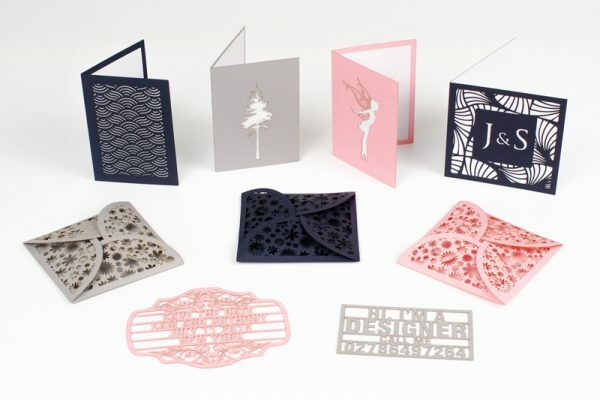 Etsy seller ChristmasAndWedding crafts these romantic laser cut wedding invitations. The shimmer pearlescent paper and precise floral design give lightness and elegance that make it a perfect choice for a bride’s special day. This single layer cardstock has a smooth matte finish with a thickness of 0.3mm and weight of 225gsm. It is totally chlorine free, pH neutral and 100% recyclable. It is PEFC certified and has achieved both ISO 14001 and ISO 9706 long life certifications. 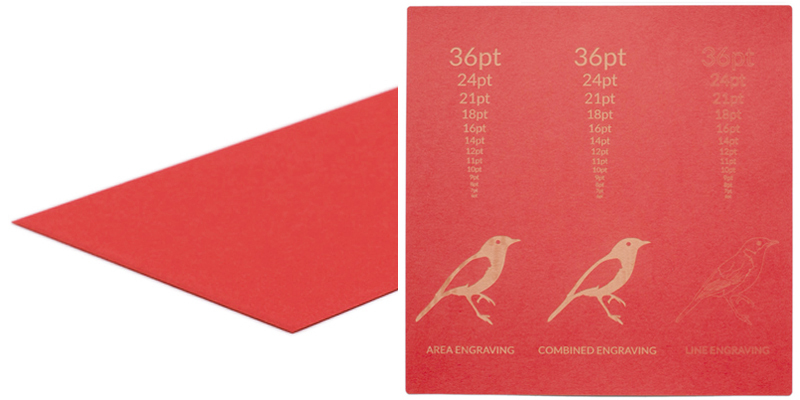 Learn more about 0.3mm Red Cardstock Paper and get a Red Cardstock Paper Sample. 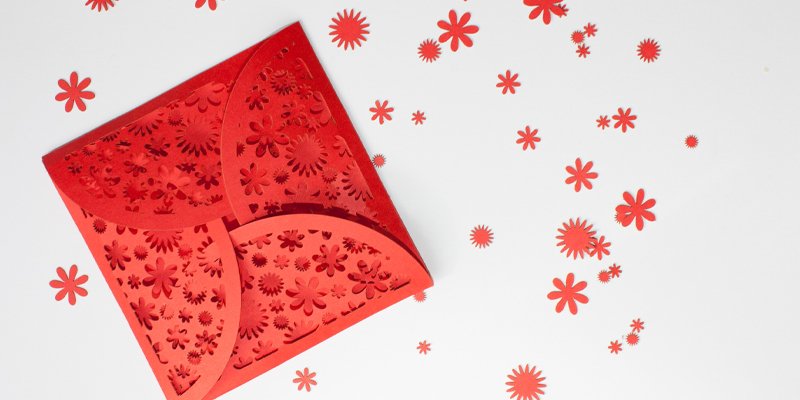 What Will You Laser Cut With Red Cardstock Paper? How will you have fun with graphics and decorating using a pop of red with this new cardstock? Will you make prototypes, architectural models or packaging? Perhaps you’ll dive into decorative arts, crafts or even collage. Get festive by making designs for weddings or celebrating holidays—Valentine’s Day, National Wear Red Day, Christmas or Kwanza, to name a few. 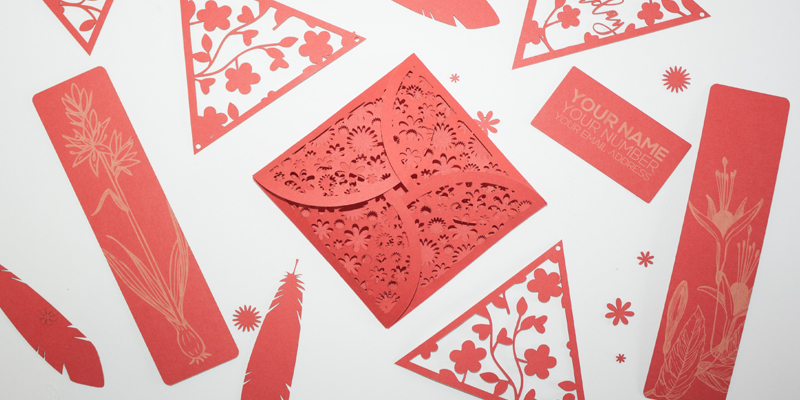 Tell us your ideas for laser cutting red cardstock paper by sharing your ideas below!